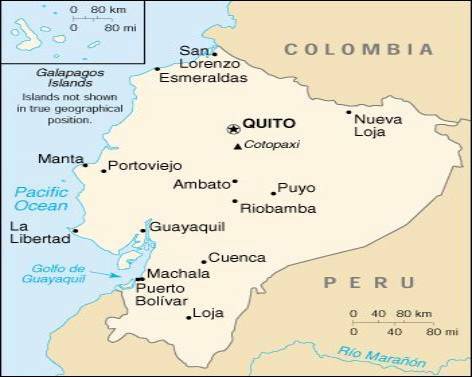 Ecuador has substantial oil resources and rich agricultural areas. Because the country exports primary products such as oil, bananas, and shrimp, fluctuations in world market prices can have a substantial domestic impact. 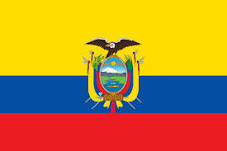 Ecuador joined the World Trade Organization in 1996, but has failed to comply with many of its accession commitments. In recent years, growth has been uneven due to ill-conceived fiscal stabilization measures. The aftermath of El Nino and depressed oil market of 1997-98 drove Ecuador's economy into a free-fall in 1999. The beginning of 1999 saw the banking sector collapse, which helped precipitate an unprecedented default on external loans later that year. Continued economic instability drove a 70% depreciation of the currency throughout 1999, which eventually forced a desperate government to "dollarize" the currency regime in 2000. The move stabilized the currency, but did not stave off the ouster of the government. The new president, Gustavo NOBOA has yet to complete negotiations for a long sought IMF accord. He will find it difficult to push through the reforms necessary to make "dollarization" work in the long run.